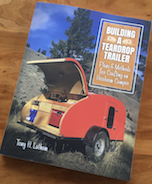 Teardrops n Tiny Travel Trailers • View topic - grey water recycling? so im trying to come up with a grey water recycling system. bleach in grey water tank. sand filter for large particles. 2 feet of 1 inch active charcoal. im hoping for water clean enough to take showers, with washing dishes as a secondary goal and actual drinking water that wont kill me right away it things get really bad as a very distant third. DIY is impractical in a mobile context. A marine-style watermaker setup could be adapted, but even the low volume hand-pumped units are pretty expensive. Is this fulfilling a practical need or to satisfy green principles? nemoskull wrote: so im trying to come up with a grey water recycling system. What will be the source of the grey water? It really depends on what you put in it. I suspect detergents would not play well in a system like that. We have a couple in our emergency kit. Cost for lite use was high. yeah, i saw the life straw, i have one. as for the reason, this is mostly about extending my stay. im hoping to recycle shower water. i can get a RO unit, and reclaim about 25%, or 3 gallons. right now i got 12 gallons fresh water tank. nemoskull wrote: yeah, i saw the life straw, i have one. I think it would be more cost effective to use a waterless cleaning solution, and save the water for drinking. cost isnt the issue, its weight. im pulling a HF trailer with a 107 hp toyota yaris. Then even more so. Showers are completely unnecessary, purely a luxury in that situation. this isnt a weekend trip. this is a long term thing. weeks or months, so a shower is kinda nessesary. at any rate, ill just have to run some test and see what i get. there is a lot of well water where i live, some one is bound to test water locally. nemoskull wrote: this isnt a weekend trip. this is a long term thing. weeks or months, so a shower is kinda nessesary. you can’t go months on 12 gallons... at best one person could go about 2 weeks. We spent five weeks boondocking in the SW last spring. 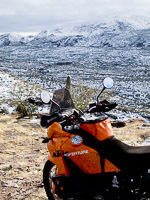 There were three items that we needed to resupply every four days or so: Food, ice, and water. Even if we hadn't needed water, one of the other two would have mandated a town run. And a hamburger. It would be a much easier to just find clear water and treat it for bacterial issues. 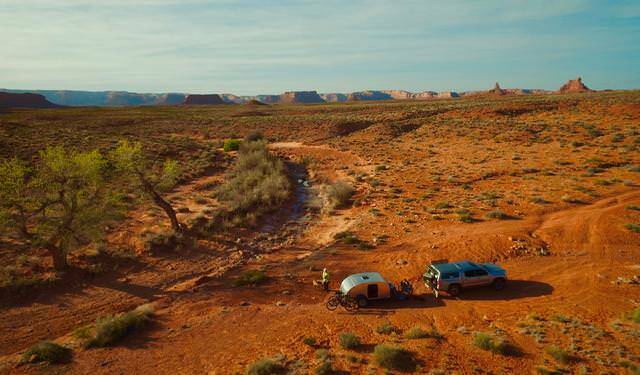 I'm curious where you will be going with your trailer and TV combo that you would find yourself more than an hour or two from a water source? Some way of heating the water and collecting just the condensation and then running that through a filter might be your best bet. Maybe if you had like a tank painted black for the sun to get at and then a copper coil with cool water running through it. you could work something out to catch the drips. might be cool to play with but not sure how well that'd be towing.